Bellamkonda Srinivas and Kajal Agarwal’s Sita first look has been released as Republic Day special from makers. In the first look poster, Bellamkonda and Kajal are seen screaming. Seems like, both the male lead and female lead will have equal importance. 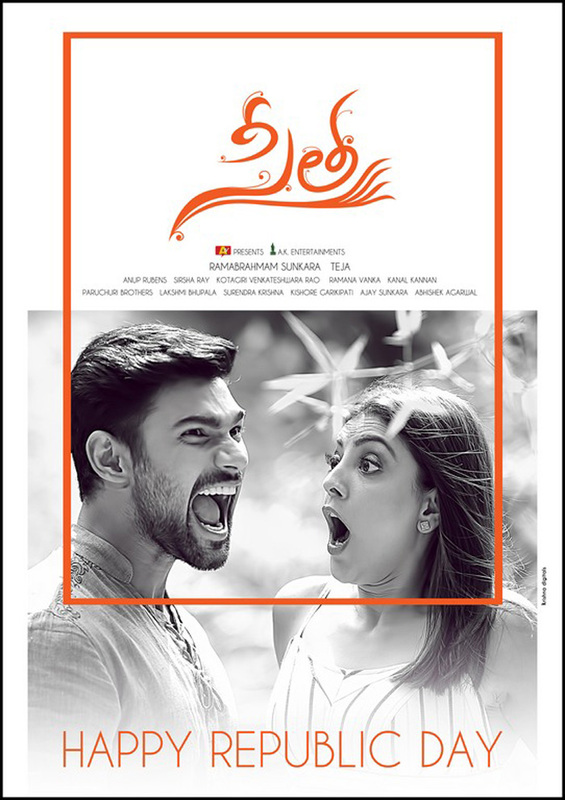 Sita marks first association for Teja with Bellamkonda, wherein it is third overall for the director with Kajal after Lakshmi Kalyanam and Nene Raju Nene Mantri. And this is second time collaboration of Bellamkonda and Kajal after Kavacham. The film also stars Sonu Sood, Neil Nitin Mukesh and Mannara Chopra in prominent roles is produced by Anil Sunkara under AK Entertainments Banner. The film’s shoot is nearing completion.